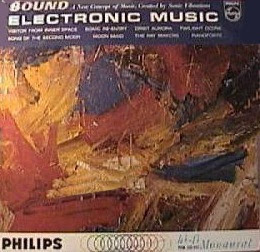 Forst released in 1957 under the name of Electrosonics(see above) and then re-released in 1968 under the name of the 2 composers mentioned.Very early primitive electronic experimentations! 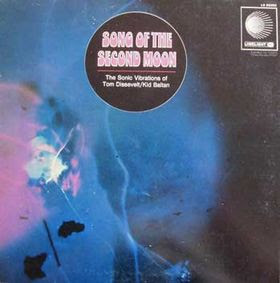 This is some surpisingly forward sounding stuff, considering the time period - very abstract, not dated sounding at all. Recommended. Thanks again for everything you guys do. I agree with Bob, this album could be from anytime, and it's such a mind-blowing masterpiece! yeah! great stuff. cannot ever believe this is 50 (fifty) yrs old!!! Hi, is there a possibility to repost the materials of Tom Dissevelt. This release was from The Netherlands , NOT USA ! Also the correct spelling is Electrosoniks, not Electrosonics. Paul Troon here. . I posted this on zona musical and it already seems really popular! I followed the sharebee link and it has been followed 980 times! I am amazed that there is so much interest in this music. But glad to know that so many enjoy it! A bit of trivia... this music, slowed down approximately to 50% of its speed, can be heard as the backing music on the lps "Tales of the Frightened", which feature scary stories read by Boris Karloff. I'm very happy found this album,maxim tribute!!!!! I own this LP, but in not very good shape since I got it as a present from my godmother. I've been looking for it for years and tonight I got up from bed because of insomnia, googled it and here it is! WOW!